FAIRBANKS – In contrast to the geology, geochemistry and geophysics that dominates discussions at most mining conventions, geopolitics grabbed the limelight at the 2012 Alaska Strategic and Critical Minerals Summit held in Fairbanks Nov. 30. “Countries that control a given element have a way to leverage businesses to come to those countries. They have a way of demanding there are technology transfers,” American Elements President Michael Silver informed the more than 200 delegates who gathered in Fairbanks. Silver, whose company has been a seller of Chinese rare earth elements for more than two decades, said China’s monopoly on this group of strategic elements is one such example. “What China was doing, and something the world has to recognize, is they were creating a price differential where if you moved your business to China, the cost of rare earths were a third of what it would be if you had to export,” he explained. By levying steep export taxes, constraining overseas shipments and tagging additional upward pressures to the costs of rare earths leaving the country, China has created a two-tier pricing system in which it behooves manufacturers needing these technology metals to move their factories to the Middle Kingdom. While China’s monopoly on REE is a prime example of the potential risks of over-reliance on other countries to supply elements critical to national security, green technology and economic growth, several speakers at the summit warned that these are not the only minerals that the United States should be concerned about. If you break down the rare earths into the 15 individual lanthanide elements, the U.S. Geological Survey list that Murkowski referenced would total 32 individual minerals in which the United States is 100-percent reliant on foreign sources – China is the primary or sole supplier of more than 20 of these minerals. “We have seen that the world does not operate on pure economics, there is a geopolitical element to it, and you have to be careful that other countries don’t gain the system in order to disadvantage us,” McGroarty cautioned. Silver, McGroarty and Murkowski agree that, with a favorable regulatory environment, Alaska’s rich stores could ease the United States’ reliance on foreign countries to supply its strategic and critical mineral needs. “Our state has incredible potential in this area,” Murkowski told the audience. The concern that an over-reliance on foreign and undiversified sources of strategic and critical minerals could put the United States at a disadvantage is not new in Washington D.C. The study, “Strategic and Critical Nonfuel Minerals: Problems and Policy Alternatives,” allocated 64 “strategic and critical” minerals and metals in which the U.S. was a net importer. “Peacetime disagreements with various mineral producer governments over political or economic interests could conceivably lead to a reduction in their shipments of raw materials to the United States,” the CBO report continued. Thirty years later, the United States is realizing the premonitions inked in this 1983 study. The United States’ decades-long reliance on foreign countries to supply the minerals critical to its national security, economic wellbeing and high-tech innovation does not reflect the nation’s potential to produce these materials at home. “The United States is very resource-rich and Alaska in particular is the one state that really contributes the most in terms of the range of resources that are available,” McGroarty said at the Alaska Miners Association annual convention early in November. In 2010, the USGS compiled a list of 35 strategic and critical minerals, all of which are considered essential in the United States and at risk for supply restrictions. “This list of minerals is just a subset of Alaska’s mineral potential,” Alaska Division of Geological and Geophysical Surveys Director Bob Swenson informed the delegates at the strategic and critical minerals summit. In fact, Alaska has the potential to produce 48 of the 50 minerals (counting the individual rare earths separately) in which the nation is a net importer. Indium, a by-product at the Red Dog Mine in Northwest Alaska, is the only strategic or critical mineral currently being produced in the Far North state. A number of the remaining minerals on the USGS watch-list are currently being sought as a primary or secondary mineral in exploration programs across Alaska. With a concerted and focused effort, Murkowski believes the nation can break its dependency on other countries for many of these essential minerals. Despite Alaska’s potential to curb the United States’ dependence on foreign countries to provide the minerals it needs, a long and cumbersome permitting process could prevent these materials entering the supply chain for more than a decade. According to a 2012 study by the Beher Dolbear Group, the United States, at seven to 10 years, is tied for last place with Papua New Guinea when it comes to the length of time it takes to get a proposed mining project through the permitting process. “The U.S. is tied with Papua New Guinea for dead last in the world in the time it takes to make a ‘yes’ or ‘no’ decision on permit applications. It has persisted as an unfortunate reality for nearly every project in the country and the consequences are really dire,” Murkowski reminded the summit attendees. Alaska’s senior senator said the effect of the increasingly cumbersome permitting process is reflected in the drop in the United States’ share of exploration spending over the past two decades. “In 1993, the U.S. attracted 20 percent of all investment in minerals exploration, today, that has eroded to just eight percent. And, in a large part, this is the result of a well-earned reputation for taking far too long to permit new or expanded mines here in the United States,” Alaska’s senior senator added. The ARPN president agreed the lengthy permitting process stifles investments from financiers who are seeking a timely return on investment. “They are looking for entry and exit in industrial projects, and they are looking at a timeframe of three to five years. If you are taking seven to 10 years to permit a mine, you are completely outside the sphere of an industry they even want to evaluate,” he explained. Hiroyuki Katayama, an assistant general manager at Japan Oil, Gas and Metal Corp.’s Vancouver, B.C. office affirmed McGroarty’s assertion. With an annual budget of 1.6 trillion yen (US$18.7 billion), JOGMEC scours the globe in search of a stable supply of natural resources for Japanese industry. Katayama told the summit delegates that the U.S. Environmental Protection Agency’s Bristol Bay Watershed Assessment, a study that could result in the federal regulatory agency banning the development of the enormous Pebble copper-gold-molybdenum project before developers have an opportunity to apply for permits, is an even bigger issue for JOGMEC and other organizations seeking to invest in Alaska’s mineral potential. “Everybody knows that EPA’s pre-empt action towards the Pebble project is the largest concern, because this kind of action in pre-application incurs depression of mining investment,” he said. Despite the setbacks on the federal level, Katayama and several of the other speakers said Alaska has a lot of attractive qualities. 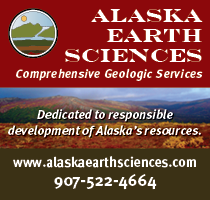 “Of course, Alaska has significant mineral potential,” affirmed the JOGMEC manager. In addition to copper, gold, zinc and molybdenum; Katayama said Alaska is highly prospective for several minerals critical to Japanese industry, including platinum group metals, rare earths, antimony and tungsten. JOGMEC played a key role in the early exploration of the Pogo gold project in Interior Alaska and is currently providing financial support to Tokyo-based Itochu Corp. in that company’s joint venture with Pure Nickel Inc. to explore the MAN platinum group metal project some 90 miles (145 kilometers) south of the gold mine owned and operated by Sumitomo Metal Mining. 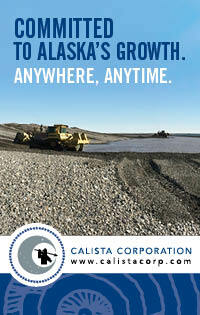 Though Alaska is highly regarded for its mineral potential, Murkowski said the state should not rest on its laurels. “We need to stay focused on finding the best deposits here in Alaska – the highest grade ore bodies – and bringing every other resource we have to bear on winning the competition for investment,” the senator encouraged. Under the leadership of Gov. Sean Parnell, the state government has been contributing to this effort. In addition to conceiving and organizing the Alaska Strategic and Critical Minerals Summit, the state has been active in evaluating Alaska’s strategic and critical minerals potential. “Alaska has the largest state-run survey program for critical minerals in the country and I am very pleased to see the Legislature is devoting funding to continuing this work,” Murkowski touted. During the fiscal year 2012 and 2013 budget cycles, the Legislature approved US$3.2 million to identify and evaluate strategic and critical minerals prospects in Alaska. In his fiscal year 2014 budget, Alaska Gov. Sean Parnell is asking the Legislature to approve an additional US$2.7 million to continue this initiative. “That is already underway but Alaska is rich in rare earth elements, something our country needs for national security as well as for our consumer electronics,” Parnell explained during a Dec. 14 rollout of his budget. 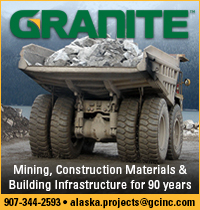 The governor has proposed a further US$18 million toward funding Roads to Resources, an initiative to connect some of Alaska’s promising resource areas to the state’s road system; US$15 million toward a new building for the state’s geological materials center which is a repository of core and samples collected from across the state; and US$7.3 million toward streamlining permitting and statewide digital mapping. The state’s proactive role in the realm of strategic and critical minerals is being recognized by outside observers. “This state has committed to taking a strategic view of critical metals and that is really quite different than any other single state,” said McGroarty. Murkowski’s parting words reflected the reservations and opportunities presented at the 2012 Alaska Strategic and Critical Minerals Summit. “Going forward, I am confident that we will navigate the challenges we face, just as we have in the past. Truthfully, we don’t really have any other choice. The jobs you create are real, the minerals you produce are essential and the contributions you make to our state’s future are vital,” the senator concluded. McGroarty left the attendees of the summit with a similar but more ominous message. 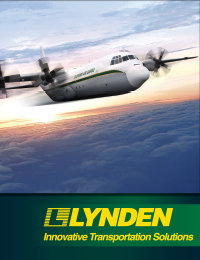 “The issues here are critical to national security, they are critical to our economy, they are critical to manufacturing, they are critical for the innovation in high technology to be executed in the United States; and, at the end of the day, they are matters of war and peace,” the ARPN president cautioned. This story has 201 lines. and it is 5882 pixels high.